We live in a global community and we need better ways to bring those from third world countries and those less fortunate to our conference which can potentially change their communities for the better. So we want to help by raising funds through donations, donation of any amount – every single $1 makes a difference. Even if you can’t afford to donate, please consider sharing the link. Good news for IEEE Special Interest Group on Humanitarian Technology (SIGHT) volunteers! 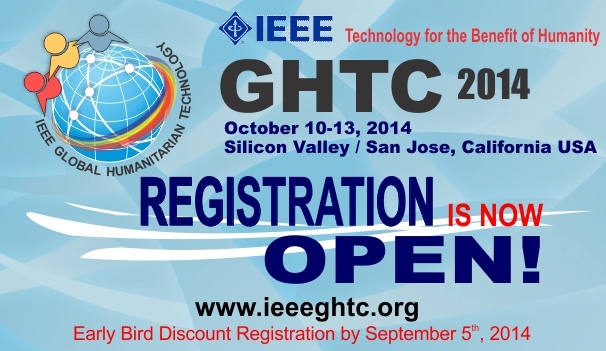 Volunteering for IEEE SIGHT + making a humanitarian presentation at GHTC 2014 = IEEE supporting you back! Application Deadline is August 5. Please hurry!